We name the game – “They Said What” but we think you can do better. Listen in as we guess beers based on their Untappd reviews and help us find a better name for the game! Aaron and Jason are on location at Round Town Brewery to talk about funk with Josh Hambright of Central State Brewing, but there’s more than just pucker in Central State’s brewhouse. They talk about adjusting palettes to sour beers, and the difference between funk and sour. Wine has often been touted as a drink that carries a great sense of place, and Josh says beer is no different, using wild yeast and local ingredient in many of Central State’s staple brews. The conversation once again takes a detour in Muncie. Special thanks to Conjurer for coming in and dooming up the place on the soundtrack to this week’s episode. Check them out on BandCamp, give them a listen, and throw your money at them. Look for upcoming shows on Do317. Owning a brewery is not always glamorous – and owning three may be less glamorous. Andrew and Dustin talk about the challenges they face in having three locations. Their passion for great beer is shines through their stories and in our glasses. If you don’t believe me, you should head to one of their three taprooms! Jason and Aaron debut a fun drinking game on the show. Listen is as we try to guess beers based on Untappd reviews! A Homebrew Podcast – Exit 12 Brewery, which is not a brewery (not one where you can go buy beer, anyway) joins the show. Nick and Brandon record their side of the episode in a house kept at 60 degrees – they are super committed to keeping those ales fermenting on the cool side. The chilly temperatures do cause some disputes about the nature of their friendship. 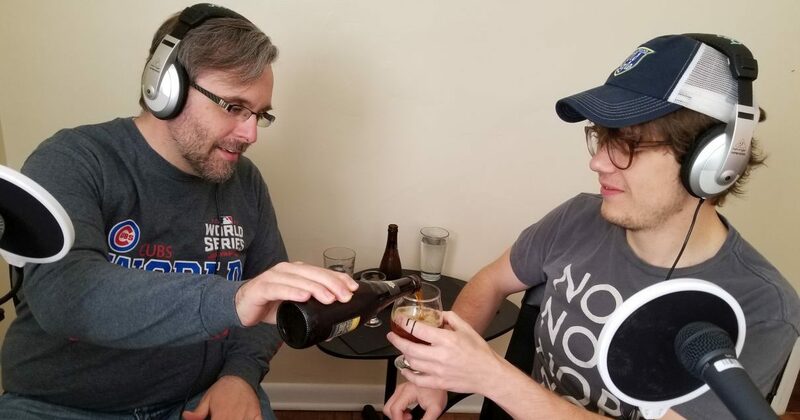 A Homebrew Podcast – Jason and Aaron discuss New Year’s resolutions and Aaron is not super excited about the amount of times that fiber intake comes up on the show. Happy New Year!!! A Homebrew Podcast – Jordan Alexander joins us to talk about stepping into kegging, going all-all grain, and his Instagram Beer Reviews. Merry Christmas! A Homebrew Podcast – A Christmas List Edition. Find out what Jason and Aaron suggest you get for the homebrewer in your life! Merry Christmas! A Homebrew Podcast – Sean Lewis of Flat12 Bierwerks joins us with Sean Webster of the Monon Beverage Brokers. We take a trip down Memory Ln., Munice Indiana style and enjoy a host of beers from Flat 12. Everyone should head to the Walkablowout on December 20! It will feature flights Walkabout Pale Ale with barrel-aged, imperial, and kettle sour variations.